Our travel changing pad is perfect for a mom and baby on the go! Change your baby's diaper in style with our travel changing pads available in a variety of chic fabrics. This travel diaper changing pad features a fabric front, flannel insert, and waterproof PUL backing. Perfect for a baby gift! Machine wash. Air Dry. Use warm iron to remove wrinkles. Change Pad Dimensions: 16" by 25". 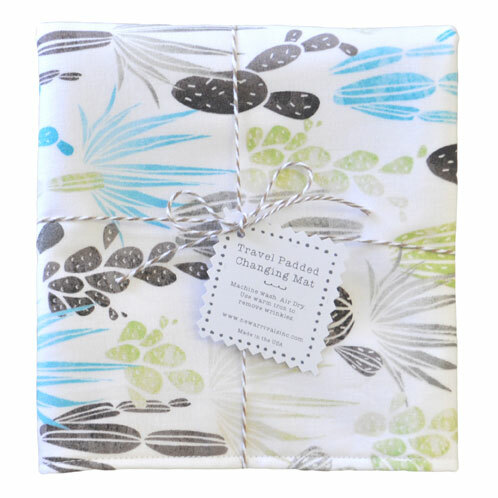 Travel Changing Pads are available in any of our shop fabrics. Made in the USA.